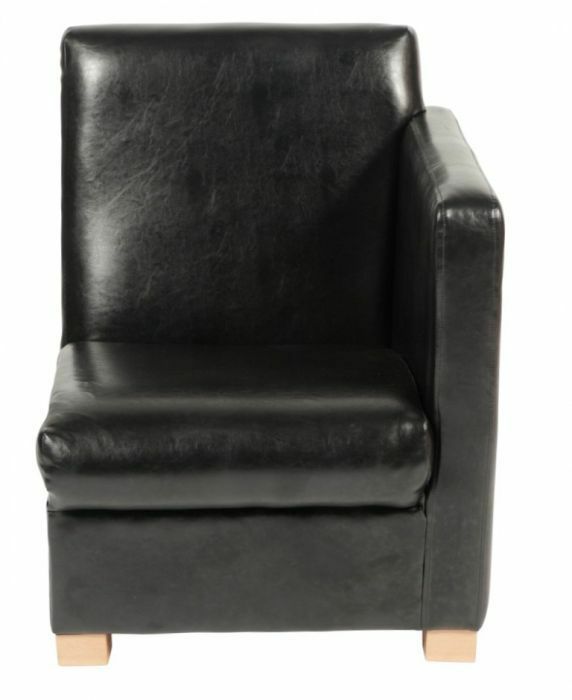 Modular leather seating in a choice of four faux leather colours and available on a lead time of 3-4 weeks. Combines with other models in the range for a tailored solution. Commercial modular breakout seating upholstered in leather. This range of furniture is popular for use in trendy bar establishments. Please allow a lead time of up for four weeks from order.